Leading at first through a forest full of massive boulders and formations, the Agawa Rock Pictographs Trail comes out at a steep cliff and slippery ledge with views of Lake Superior. 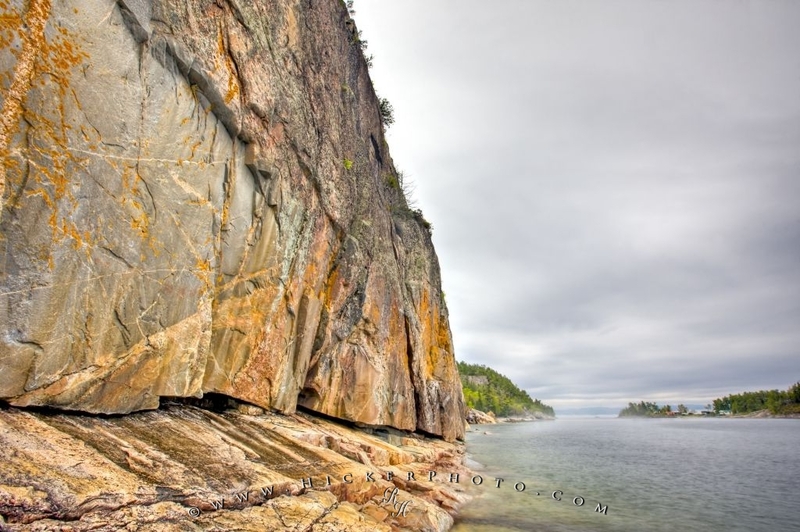 At the terminus of the Agawa Rock Pictographs Trail lie rocks formed one billion to 2.5 billion years ago, banded and striated like ribbons of hard Christmas candy. Agawa Rock, Agawa Rock Pictographs Trail, Lake Superior, Lake Superior Provincial Park, Ontario, Canada. Photo of the rock face at the end of the Agawa Rock Pictographs Trail.